Founded in 1886, this is the gallery's 131st year. We offer a wide range of painting, graphics and sculpture by a variety of talented local Canadian and International artists. The gallery also carries a good selection of antique maps, charts, and historical prints of Canada, in addition to Inuit and Aboriginal graphics and sculpture. 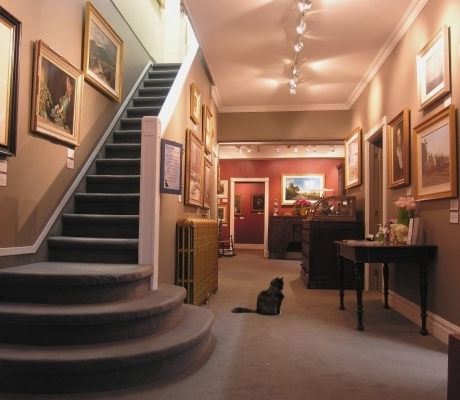 Zwicker's Art Gallery in Halifax Nova Scotia offers a range of professional services to its clients, including museum-quality archival framing and restoration. We also prepare properly-documented appraisals for insurance, donation, estate disposition, and family division purposes.